Located on desirable Cliff Road, this thoughtfully designed four bedroom home with a separate garage, has detailed finish work throughout including a beautiful eat-in kitchen with top end appliances. The outdoor living area is an extension of the home and perfect for enjoying outdoor dining. Located moments from The Westmoor Club, the Cliff Road bike path, Steps Beach and Town, this turnkey home is a must see and is ready to be enjoyed. Rare opportunity to own a 3 bedroom 3.5 bath home situated on over 1/2 acre of land in the village of Sconset. Desirable private corner location with ample room for a pool. This ranch style home boasts 3488 square feet of living space. Freshly painted throughout. 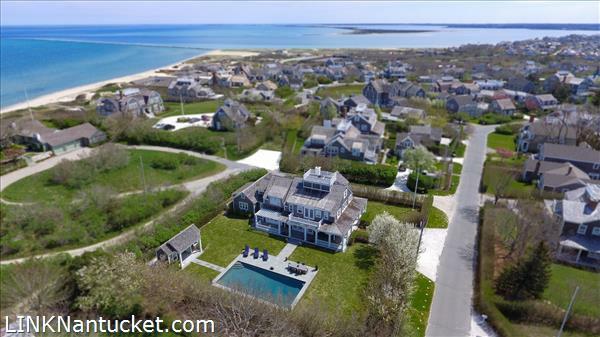 Short distance to the historic village square and Sconset beach. 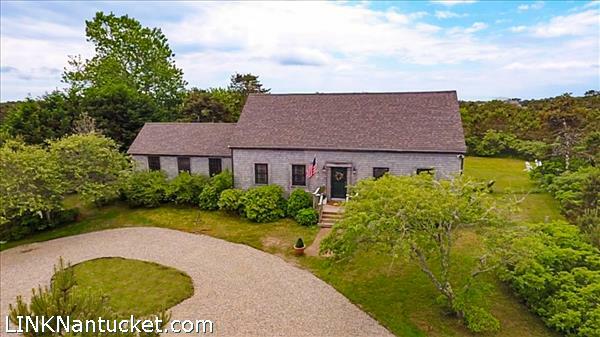 Charming cottage sited on nearly 3 acres and abutting over 30 acres of Land Bank property. Extremely well-maintained with many recent updates such as new decking, new windows, new mechanical systems and new appliances. Room to expand. Prominent Cliff location just off Lincoln Circle, this lovely home with open living spaces and an abundance of light throughout affords ease of access to Steps Beach. An oversized 18,000+ sq ft property consisting of two lots, offers privacy, lovely mature plantings, covered porches, attached garage, pool and pool cabana. 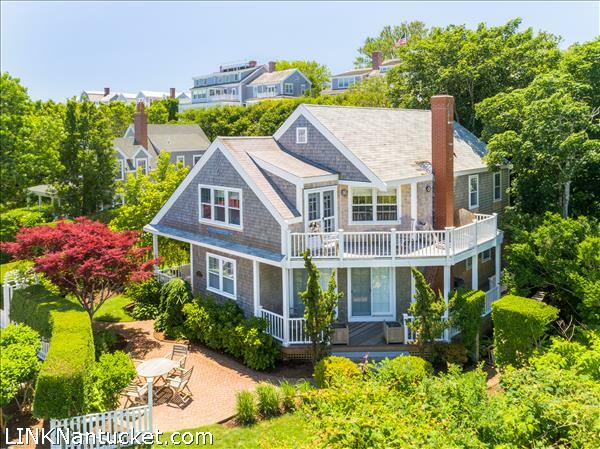 Unparalleled 180 degree views of Nantucket Sound and Harbor from the roof walk. The property has been subdivided giving the discerning buyer a multitude of options. Rare offering in this highly sought after Cliff setting. Charming four bedroom, three bath home in desirable Surfside. This property is waiting for someone to finish the renovation and make it their own. Enter into a large Great Room with a cathedral ceiling, French doors open to a spacious deck. Kitchen with access to screened in Sun Porch, Master bedroom with en suite bath, Two more bedrooms each with en suite baths. The second floor has a private Master bedroom with en suite bath. Lower Level is a finished light and bright family room/media room with wet bar and private patio space with outdoor access. Enjoy the privacy of this property, see the beautiful sunsets & hear the crashing surf from the deck. Close to bike path and Surfside beach. 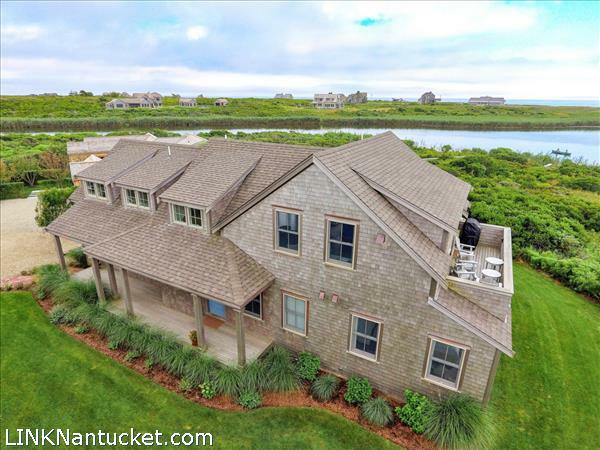 This recently built home features four gorgeous bedrooms, four and one half baths and stunning unobstructed views of White Goose Cove and the Atlantic Ocean. Every detail was well thought out and carefully integrated into the design and then fully executed by one of the island’s premier builders. There are three en suite bedrooms and a fourth bedroom with a hall bath. The second floor is an expansive room that combines a kitchen, half bath, a living room and a dining room with access to two large decks with views to the ocean. This floor also encompasses the master suite with water views, four individual his and hers closets and a shower bath with glass doors. The kitchen’s streamline design incorporates an under the counter refrigerator, freezer drawers, beverage refrigerator, built in microwave, Wolf stove and Wolf cook top. The first floor features a galley kitchen for guests, a second living space and dining area and easy access to a screened in porch that leads to a large deck with outdoor shower and hot tub. 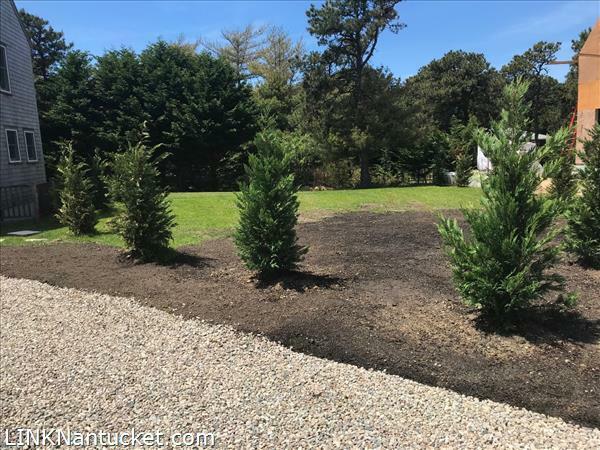 There is a beautifully manicured lawn and a path that leads over Madaket Land Trust property with direct access to White Goose Cove. 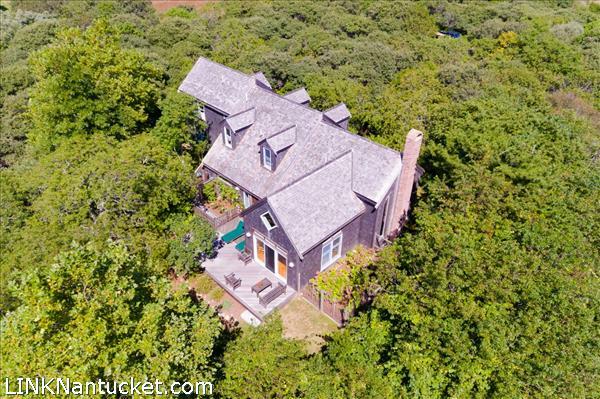 This inviting home is part of the Stone Barn Neighborhood in highly sought after Brant Point, and enjoys 2nd floor views of Nantucket Sound and Harbor. A perfect spot to watch the 4th of July firework celebration! 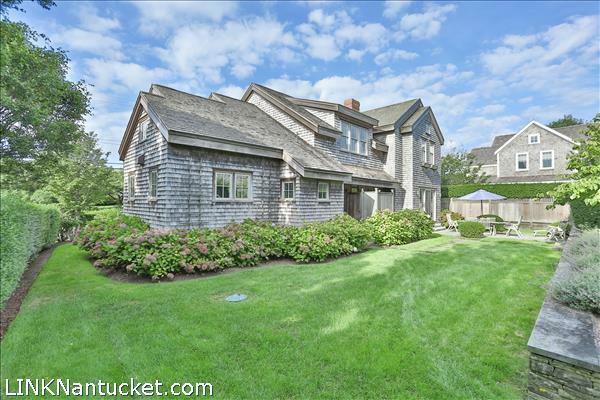 The custom built home is tucked behind a tall privet hedge and offers wonderful details including coffered ceilings, a wood burning fireplace, custom millwork throughout, and a gracious master suite with a vaulted ceiling, a sitting area and private deck with views of Nantucket Harbor. The private patio and lush gardens offer an invited spot for alfresco dining or lounging. 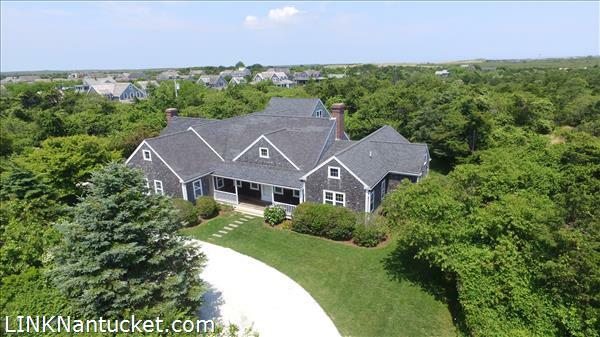 This property abuts the Nantucket Conservation Foundations Bird Sanctuary and enjoys close proximity to Jetties Beach, the Galley Restaurant and Beach Club, and world class shopping and dining in the Town of Nantucket. This newly created Covenant lot is nicely tucked away off of Greglen Ave. The lot is located in R-10 zoning which allows 25 % ground coverage on a just under 4,000 square foot lot. 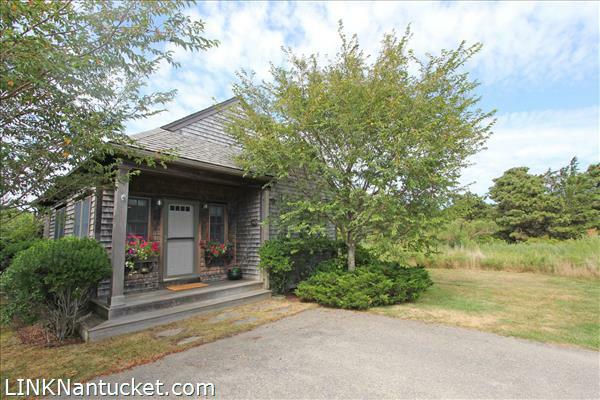 This mid island location is perfect for a first time buyer through the Nantucket Covenant Program to build a place to call home. Lot is awaiting Land Court Approval. Property is staked and tagged for viewing.Freshly graveled drive leading to this peaceful newly treed in lot.